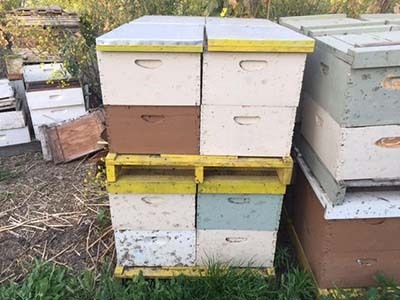 On 05/02/2017, the Fresno County Sheriff’s Office AG Task Force located an additional site where suspected stolen beehives were located. The location is on Cal Trans property, at Hwy 180 and the Friant Kern Canal. 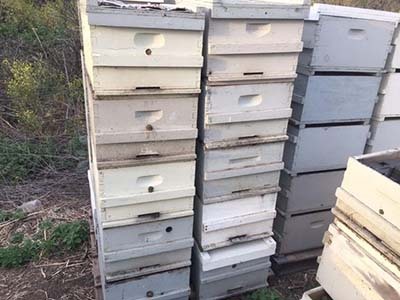 A majority of the living bees at the new location were recovered by the victims who had recovered beehives from the first location, in the 6700 block of E. Central Avenue. 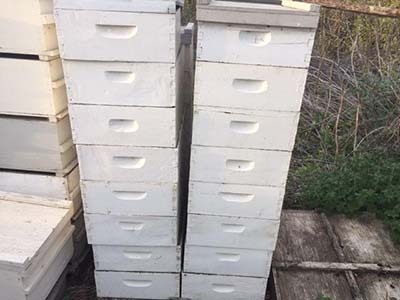 At the new site there are several empty newer boxes marked “-6-B51,” along with brown and white beehive boxes that have metal lids. 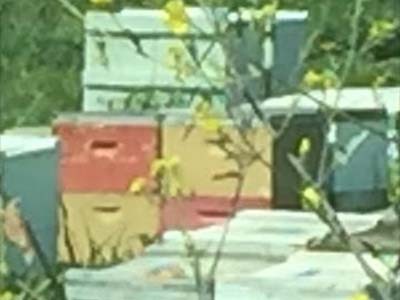 These beehive boxes have not been identified by bee theft victims at this time. Any information regarding this investigation, please contact Detective Andres Solis at andres.solis@fresnosheriff.org FSO Case 17-6012.